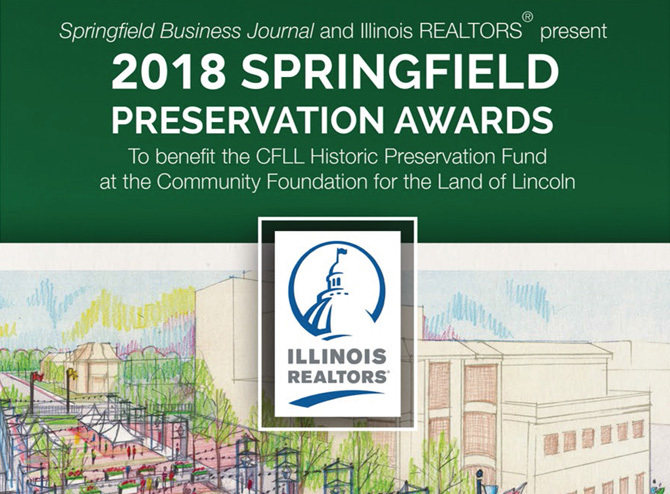 Springfield Business Journal and United Community Bank are pleased to sponsor this year’s “Best Places to Work,” recognizing outstanding businesses in central Illinois. 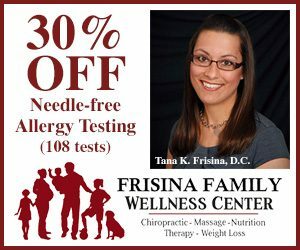 The program is open to any business in Sangamon or Morgan county with 35 or more employees. Many of the nominations were submitted by the employees themselves, in other cases someone who had worked closely with the company made the nomination. While the awards are not based on the sheer quantity of nominations received for a particular company, multiple nominations from employees at various levels of the company help to paint an overall picture of the corporate culture. A company’s reputation and involvement in the community at large are also taken into consideration. A reception and awards ceremony will be held in January at United Community Bank’s Montvale branch and Mayor James Langfelder will present awards to the three selectees. We appreciate United Community Bank’s ongoing support that allows us to honor these worthwhile businesses. “That’s special,” said the president of Henson Robinson Company, located at 3550 Great Northern Ave. Hoselton has been with the company since 1990. “There are people who come here and don’t leave,” said Julie Becker, who worked for the company in the 1990s and came back in 2003 when she heard there was an opening in the payroll department. “I was thrilled to come back.” She never really left because she had continued to work part-time assisting with inventory every year. Every May, employees receive a bonus. “It’s like a big pat on the back,” said Becker. 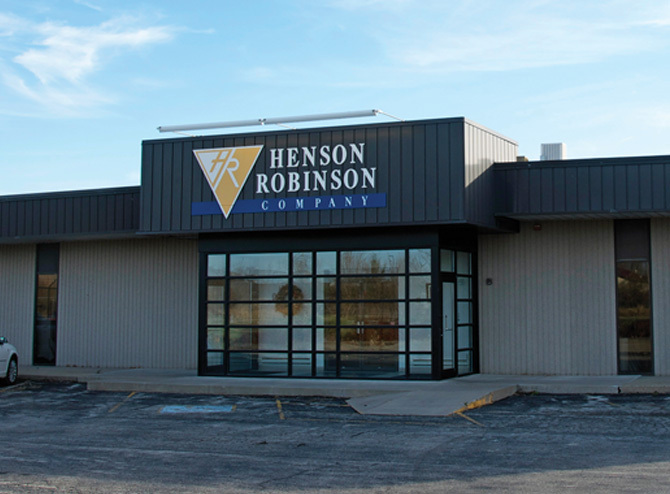 Henson Robinson rewards the hard work of its employees. Not only do they receive excellent benefits – 401(k), an employee-owned stock ownership plan (ESOP), health insurance and personal and vacation days – but the company also hosts summer picnics, an office Christmas party and a party for the workers in the shop, where the annual safety award winner is announced. Employees are encouraged to work to their full potential, and management creates opportunities for advancement and offers training programs. There are incentives to do a good job and better oneself. 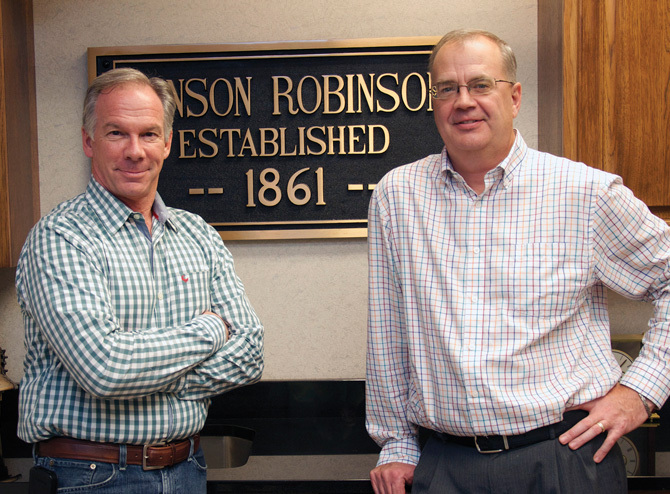 The employee-owned company has been in business since 1861 when Henson Robinson, a friend and neighbor of Abraham Lincoln, was recruited to supply Union soldiers with tinware for the Civil War effort. Since then the company has earned its reputation as a leader in the roofing, architectural sheet metal, heating, cooling, ventilation, plumbing, mechanical and special sheet metal fabrication industries. 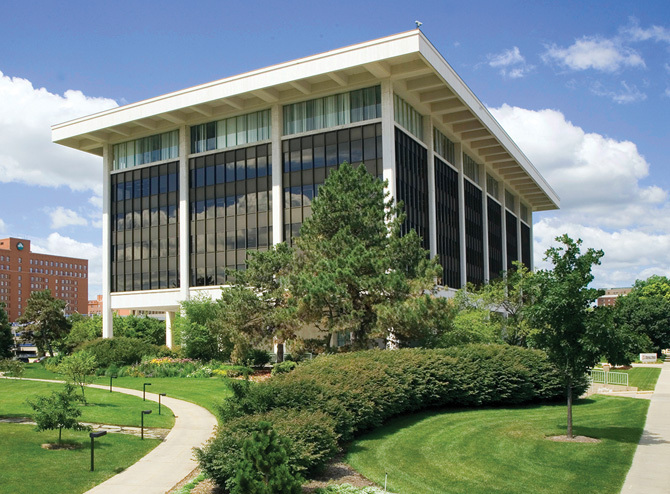 The company moved from its former location on Clear Lake Ave., where it had been since the mid-1960s, to its current headquarters about a decade ago. “We outgrew the location,” said Hoselton, who pointed out that their current site is three times larger than the old one, which Henson Robinson still owns. The company currently employs between 150-160 employees, but that fluctuates based on the amount of work in progress at a given time and can number as many as 240. Daniel Hoselton and Steve Etheridge of Henson Robinson. Among the causes the company supports are the Salvation Army, Toast of the Town and Memorial’s Festival of Trees. One year it donated a new roof to the Saint Martin Deporres Center. “They’re all great causes but we can’t do it all,” said Hoselton. 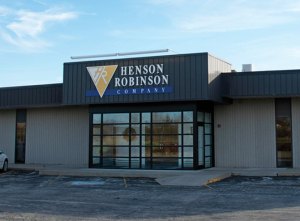 In addition, Henson Robinson’s management team serves on union committees while employees are encouraged to become involved in funds and participate in their industries at all levels. “It’s important to give back to the industries,” said Hoselton. These industries are always changing. “If you can keep the culture the same, the business will go the test of time,” said Hoselton. Horace Mann (1 Horace Mann Plaza) aspires to be the company of choice to help educators protect what they have today and prepare for a successful tomorrow. “We believe in the community we serve,” said Marita Zuraitis, president and CEO. “Public educators are a very worthy group of customers,” continued Zuraitis. “They have a calling and believe in what they do.” Educators need someone to look after their future. The company’s number one priority is taking care of its base. Founded in 1945 by Les Nimmo and Carroll Hall, who believed teachers deserved quality, affordable auto insurance, the company employs roughly 1,100 employees in its Springfield headquarters and more than 1,500 nationwide. It serves more than 4,100 school districts. “We are the only company in the educator space,” said Zuraitis. Today the company has broadened its product lines and offers homeowner and life insurance as well as annuities. According to statistics provided by the company, 198 employees have been with the company 25-39 years, 24 have been with the company 40-44 years and five have been with the company for 45 years or more. 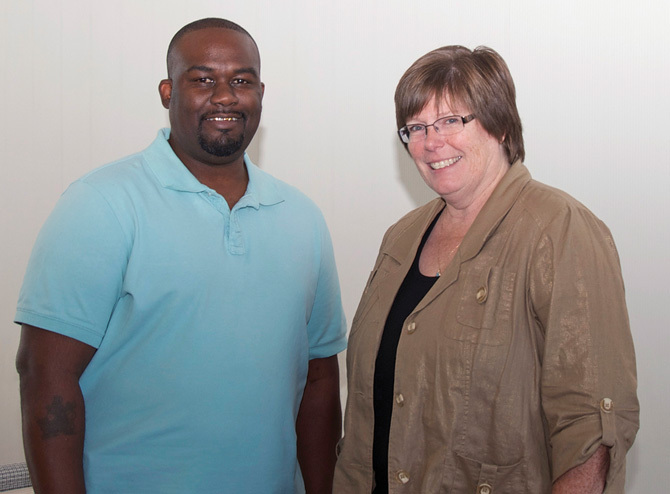 Corey Johnson has been with the company since 1997 and currently works as a support tech in finance. “I love what I do,” he said. “We’re like a family,” said Johnson. “The people make it feel like home.” He was recently named employee of the month for his hard work, winning a trip to Mexico. “It made me feel good,” he said. “This is a truly wonderful place to be,” said Jean Winn, who joined the company right out of college and has been here for almost 30 years. Her brother-in-law called her and told her there was a position available in fitness, which was her field of study. From there she advanced to a group billing position and is now director of finance in human resources. While she has had plenty of opportunities to leave, she has no plans to do so. “I don’t think I’d change anything at this point,” said Winn, who loves the team environment. “Everyone works together. It’s a collaborative effort. The publicly traded company with nearly $10 billion in assets is one of Springfield’s biggest employers and believes in supporting the community. “We make a huge impact,” said Winn. “We’re good corporate citizens,” said Zuraitis. 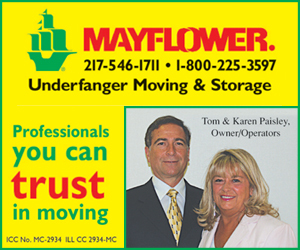 “We’ve always called downtown Springfield home.” The company has been at its current location since 1972. The company encourages its employees to become involved. “It creates a sense of community,” said Zuraitis. Corey Johnson and Jean Winn of Horace Mann. Among the causes the company supports are United Way, the Central Illinois Food Bank and Toys For Tots. The company’s recent golf outing raised $31,000 for the Springfield Public Schools Foundation. The company also recognizes its employees. “We work very hard as an organization, and we play hard,” said Zuraitis. Employees wear jeans on Friday and the company sponsors celebration parties. She hosts coffee with the directors and the employee of the year is announced at the annual employee recognition luncheon. Along with a flexible work schedule and promoting a healthy lifestyle, the company provides opportunities for advancement and to do exciting work. Everyone brings their skills to work every day and this is recognized. Employees have a voice. “They understand how to move the company forward,” said Zuraitis. They understand where the company is going and how they fit into the company’s vision. At the turn of the century, Springfield resident Thomas Brady bequeathed $17,000 to the Diocese of Alton to establish a home for the elderly. Bishop James J. Ryan asked the Sisters of Saint Francis of the Immaculate Conception at the St. Joseph’s Home in Peoria to come to Springfield. St. Joseph’s Home opened its doors in 1903. 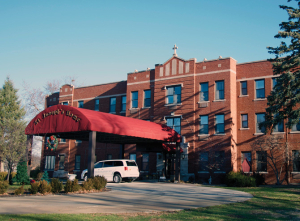 Following the relocation of the See City from Alton to Springfield in the 1920s, Bishop James A. Griffin began a $100,000 capital campaign to raise funds to construct a new St. Joseph’s Home at its current location. 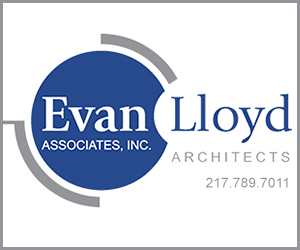 Over the years, benefactors have supported numerous remodeling projects at the home. In 2008, the home raised more than $4 million through a capital campaign to build an addition tailored to care for individuals with dementia. Carol Jackson has worked at St. Joseph’s for 14 years in housekeeping. “We all get along,” she said. “It’s a great environment.” She enjoys it when someone tells her she’s doing a good job. “It’s a pat on the back. I tell the residents it’s my job. It’s what I do. The staff is rewarded for their efforts in small ways. Each year the home hosts a Christmas party and employees are recognized on their birthdays and employment anniversary. After the annual Illinois Department of Public Health survey, everyone is treated to a pizza party. Family members, staff and residents are invited to nominate an angel who walks among them and there is a drawing for a gift card. Employees with 10 years or more of service have a brick with their name on it placed in the garden walk. There is not a high attrition rate. Nineteen employees have been there 10 or more years, seven for 20 or more years and three for 30 or more years. Sister Lenore credits this to the small ratio of staff to residents. 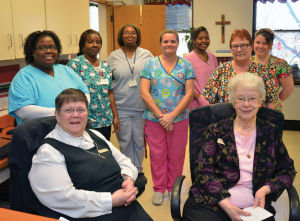 Sister Lenore and Sister Patricia with staff at St. Joseph’s Home. Hempstead, who had previously worked here for more than 13 years, recently returned when Sister Lenore called and made an offer of her old position. “There was no hesitation on my part,” said Hempstead, whose mother is a resident. Marge Hayes considers herself lucky to work here. Following a job loss, she was taking classes at Novatech when her husband called and told her there was an opening for a secretary. Her father was a resident here. St. Joseph’s has the best staff — sweethearts and angels!